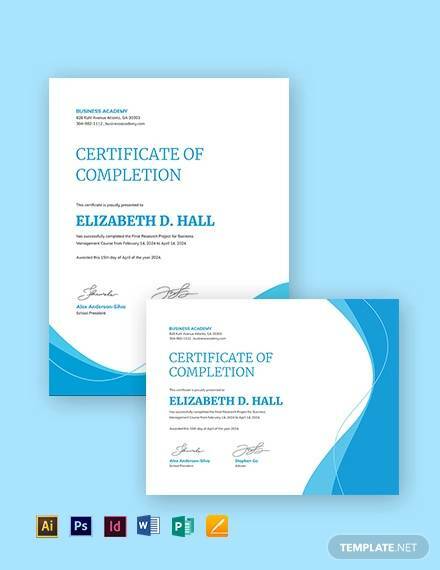 Certificates and grade cards are documents that points out the educational achievements of a person. 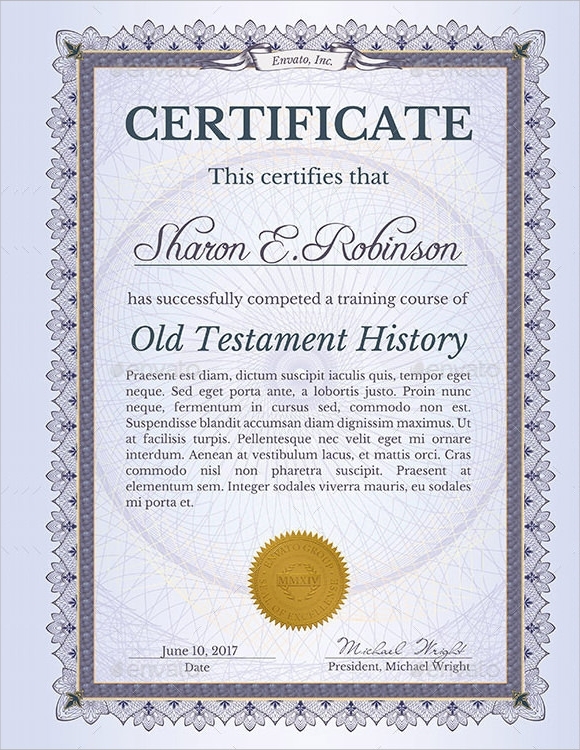 These are very important documents and are mostly preserved by people all throughout their lives and creating them needs competence. 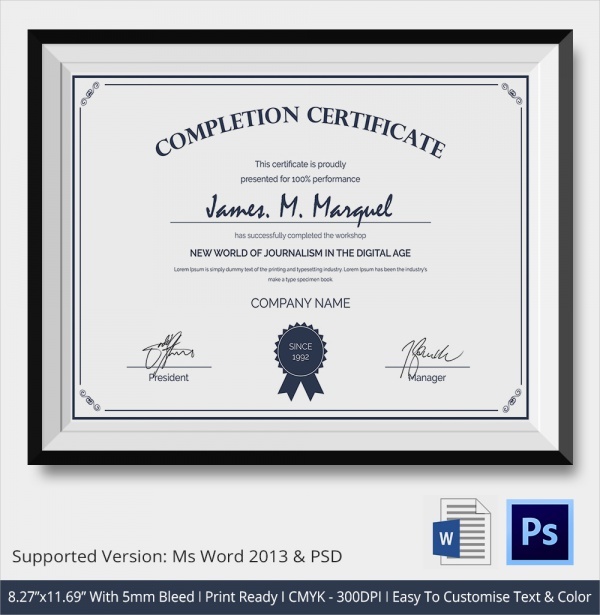 These documents must have the proper format, designing and also print quality so that the very look of the document will be good enough to be revere. 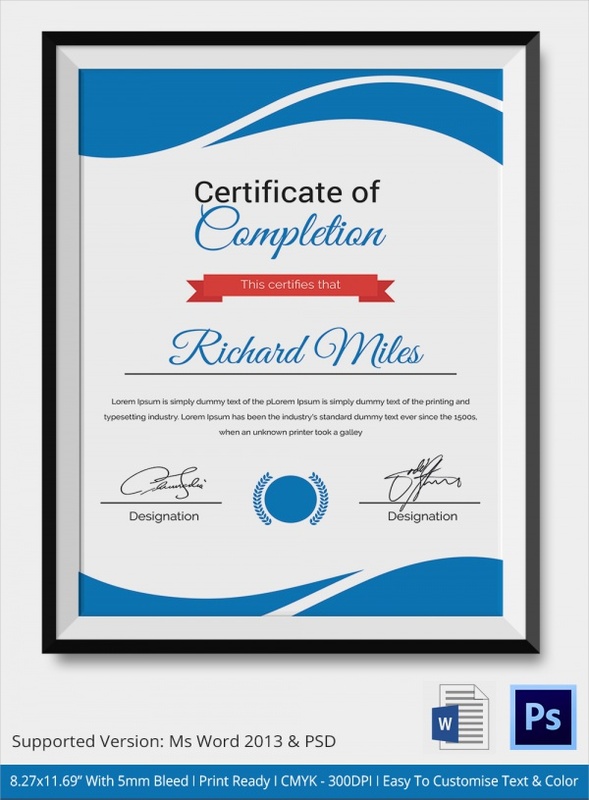 The sample certificate of completion template can be trusted to help you to create the most respectable and attractive certificates. 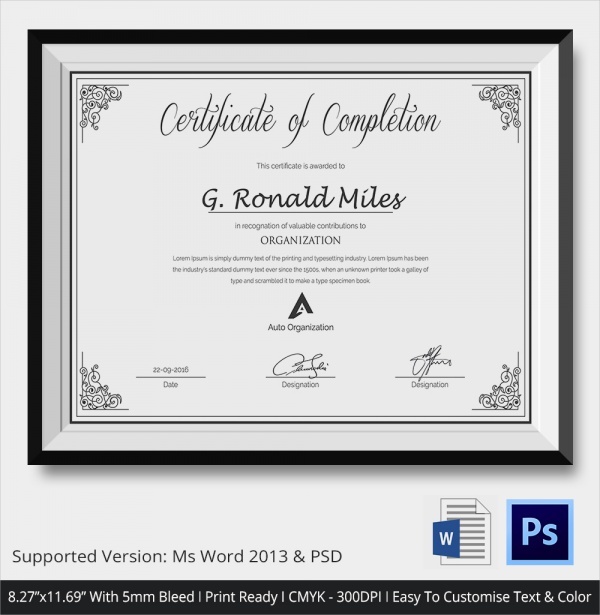 You may like Graduation Certificate Templates. 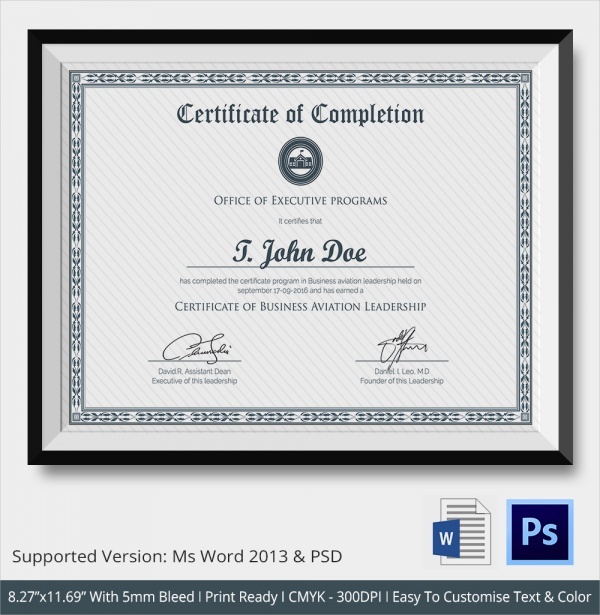 With a formal and dignified look, the color scheme of this template is subtle. 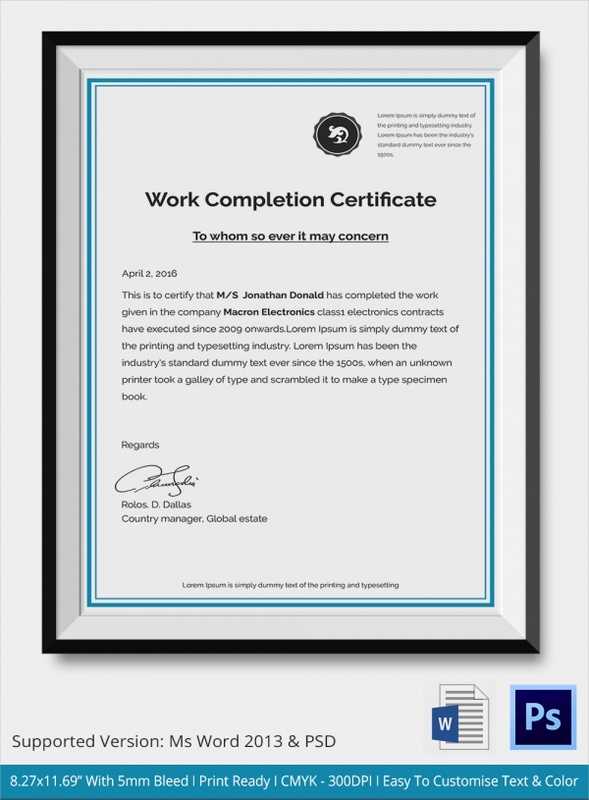 The certificate mentions the name of the recipient of the certificate and also the emblem of the institute that is providing the certificate. 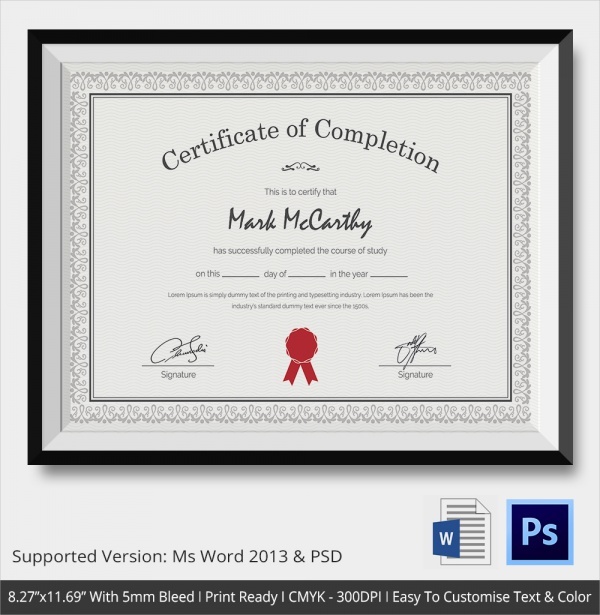 The template has a great resolution range that offers some of the best quality print outs. This one hosts certain text that is fixed and predetermined. 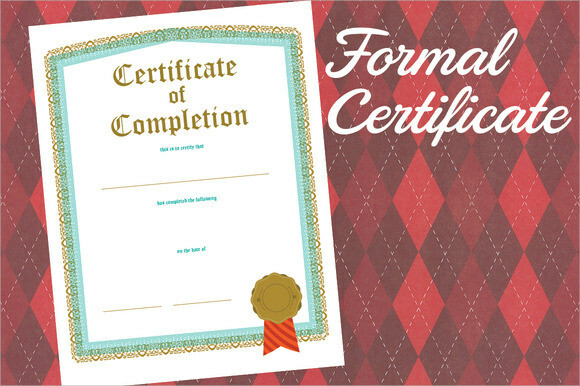 There are spaces that will contain the name and the batch of the recipient of the certificate. These are the places where the user can edit and make changes. 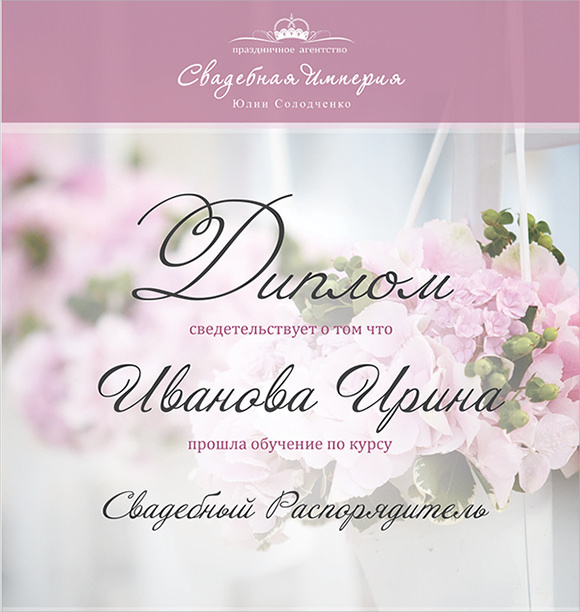 The design has a formal and a stately look. 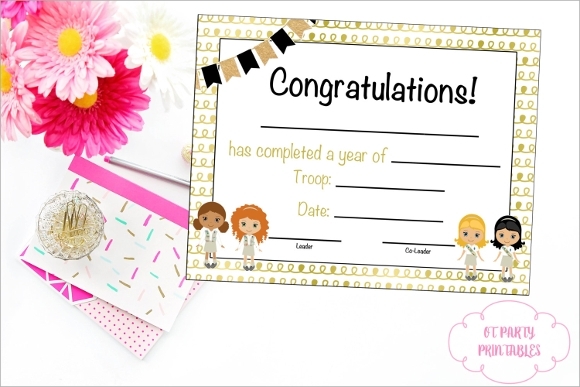 Cheerful and colorful this template is surely the best format that can be found to create a certificate of excellence for young kids. The illustrations are very suitable for the purpose of gifting and awarding to the young children. 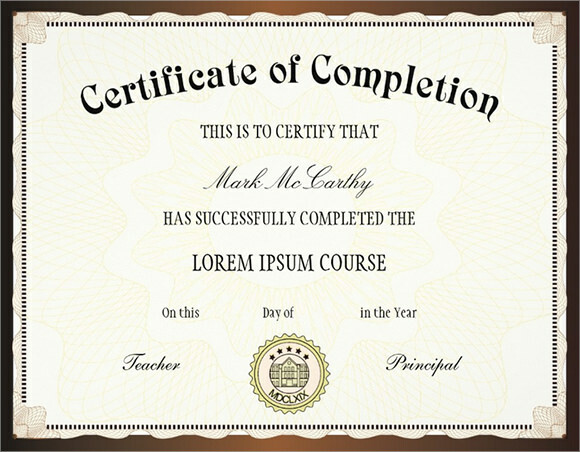 The template can support information such as the name of the student the year or the class of the student. 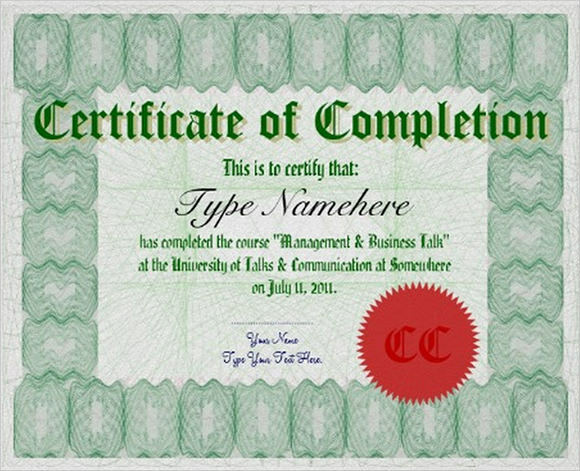 Sober and simple this is a certificate design that is perfect for creating certificate for technical and high education institutions such s engineering colleges. 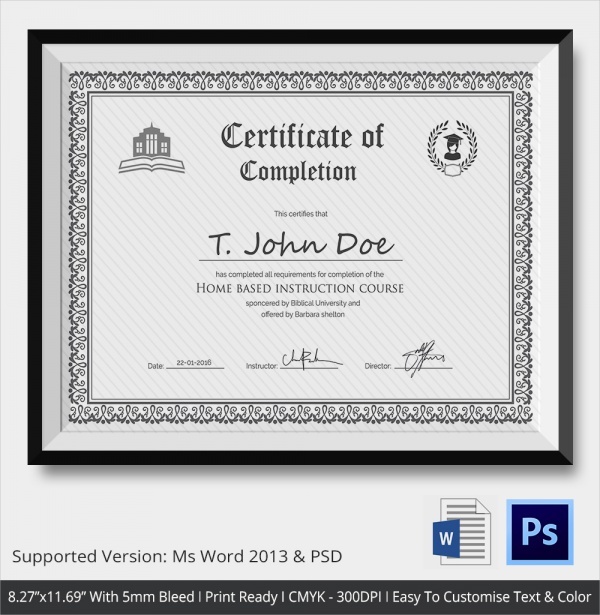 The background theme of the template can be changed as per the requirement of the user. 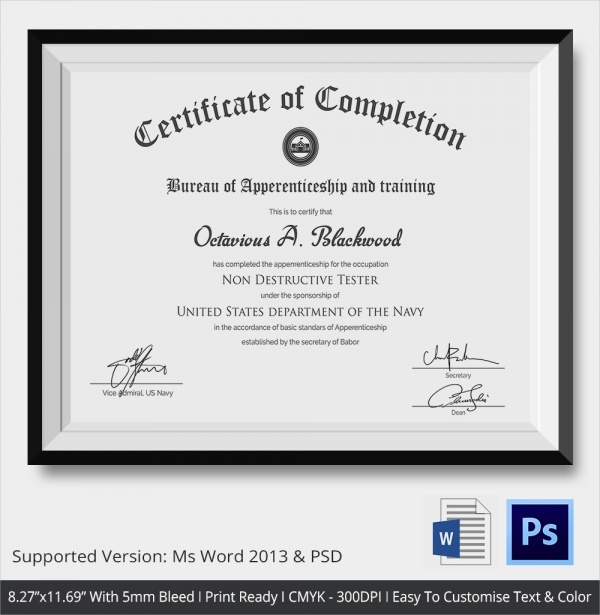 The template is hundred percent editable that helps the user to fed in new information as per requirement. 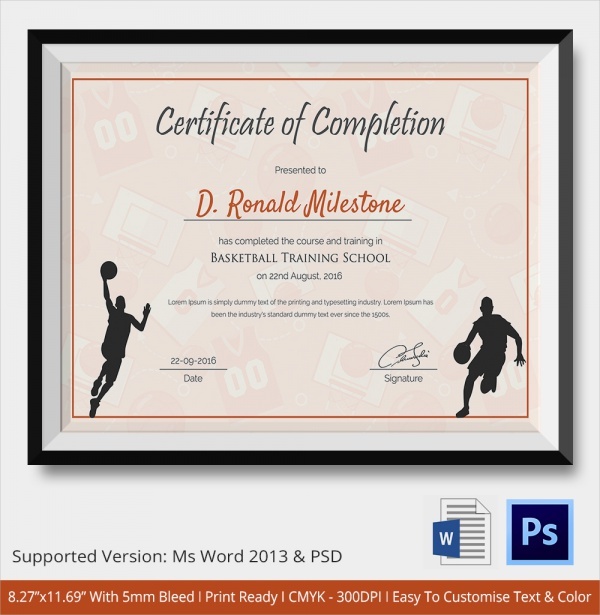 The design of this sample certificate of completion template is perfectly suited for the purpose of creating a well revered certificate. 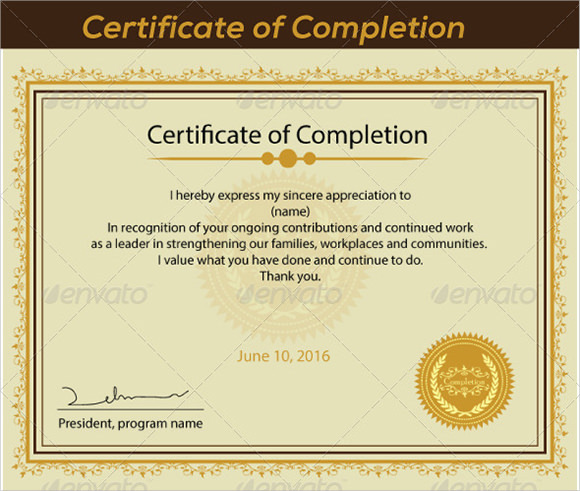 This template can be used at the academic institutions and also at the corporate sections or awarding and recognizing the good work of the employees. 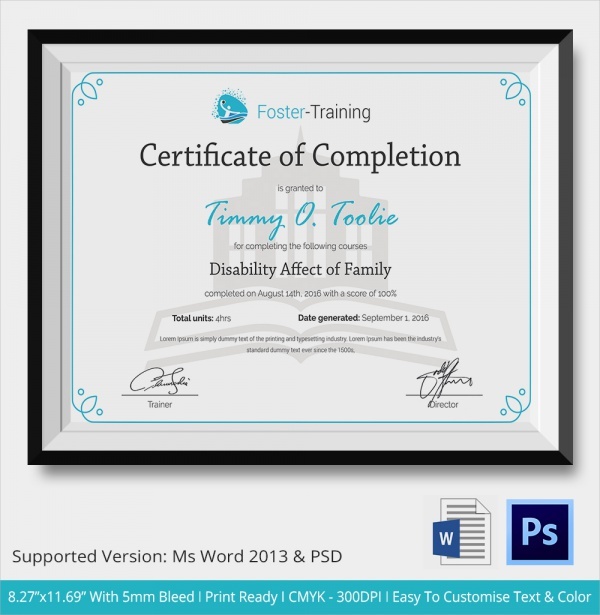 The font type and the background color of the template gives regal feel to the template. The format of this template offers a very stately design or format. It is designed to support a paragraph style of writing. The areas of the name of the student, the subject particular and the batch or the year particulars are the spaces that can be changed as per requirement. 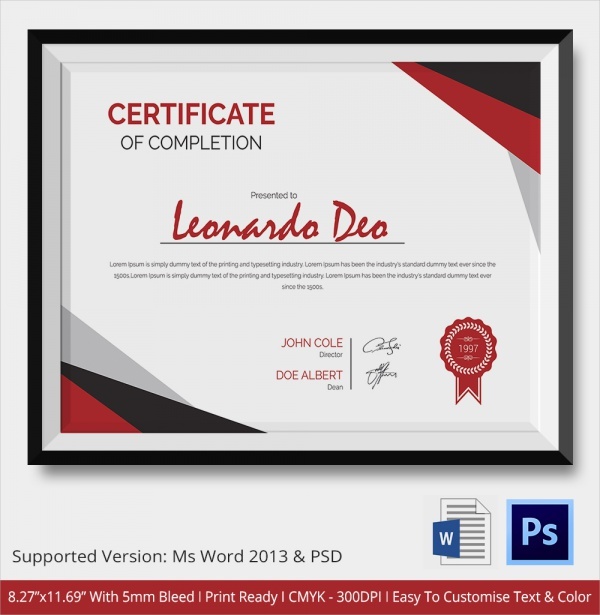 Layout is a one page design that depicts the format of a regular certificate that can be given out for academies or professional excellence. 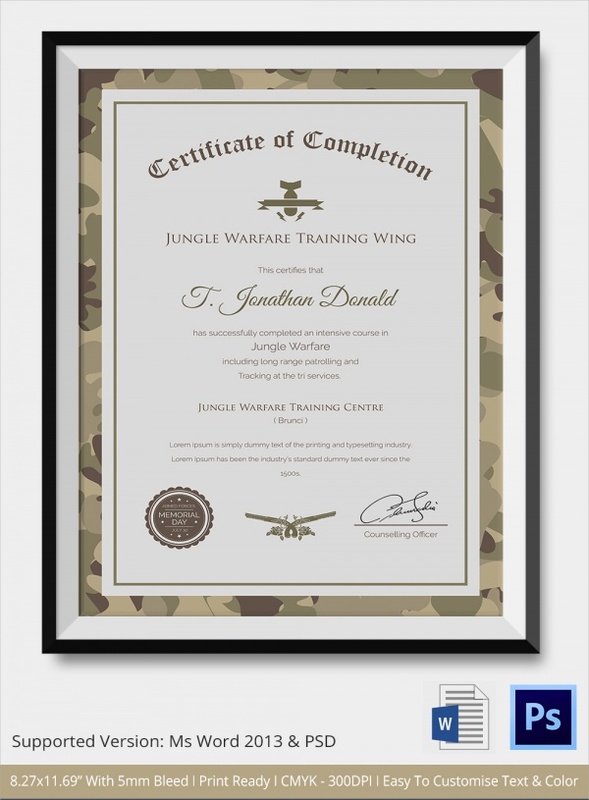 The general attribute of the template is the main aspect that gives this template its major appeal. The format is very simple and minimalistic. 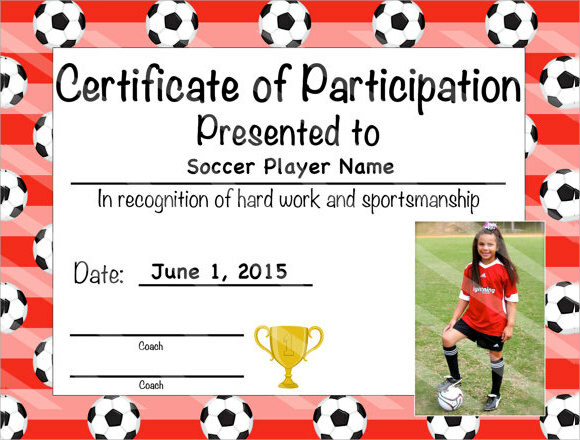 This is a sports certificate format that can be used in any type of sports and not just soccer. 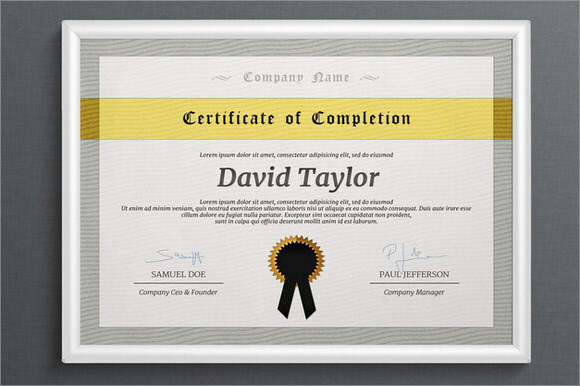 The format of the certificate can contain the information of the name of the recipient, the type of sport, the date etc. 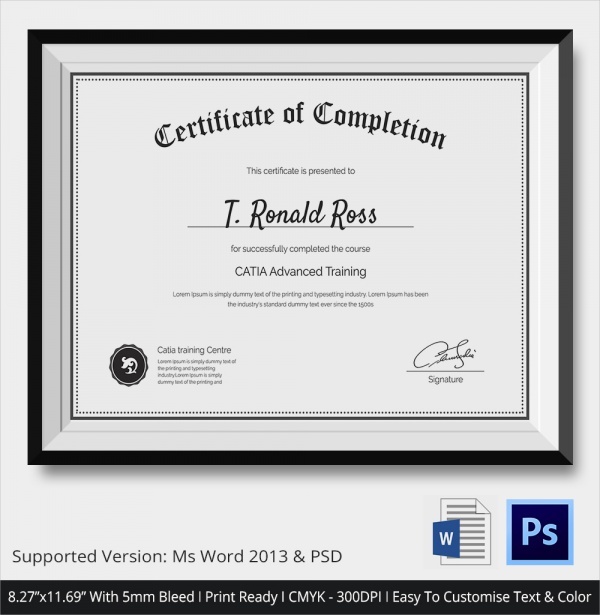 The format can also support a photograph of the recipient. This template has very royal and pleasant look at the same time. The floral background offers a kind of freshness to the template. 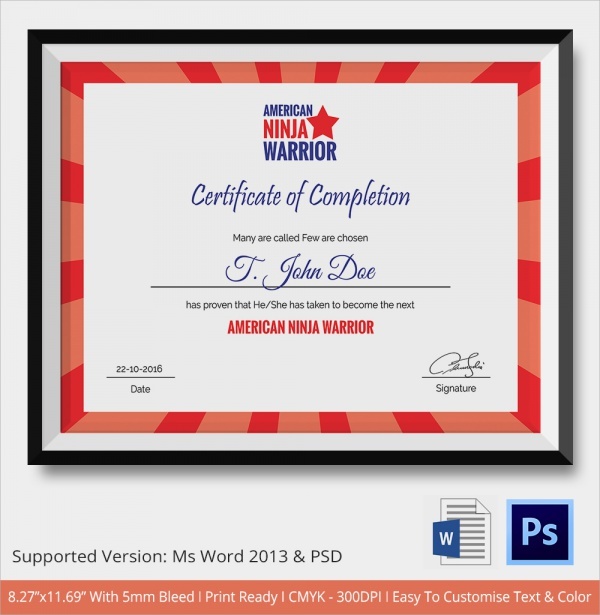 The template has very high resolution and hence can give very bright printouts. 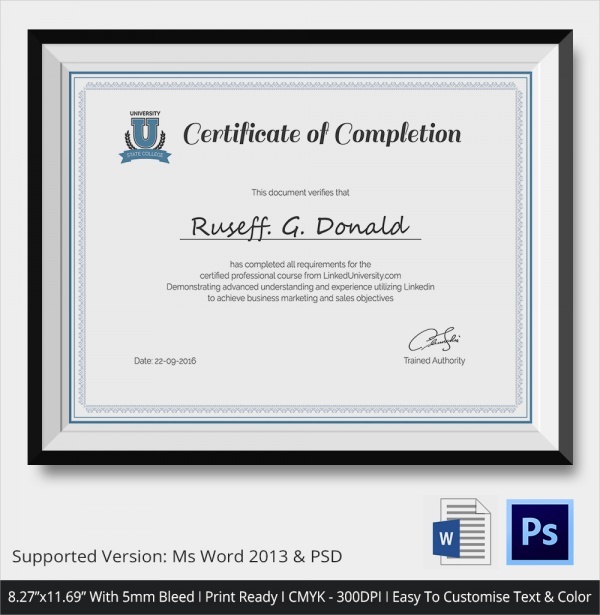 Sober yet sophisticated this is a sample certificate of completion template that can be used to create the most competent and respectable certificates in the academic and the professional world. The template is fully editable and is pint ready.